The Rebel Sweetheart. 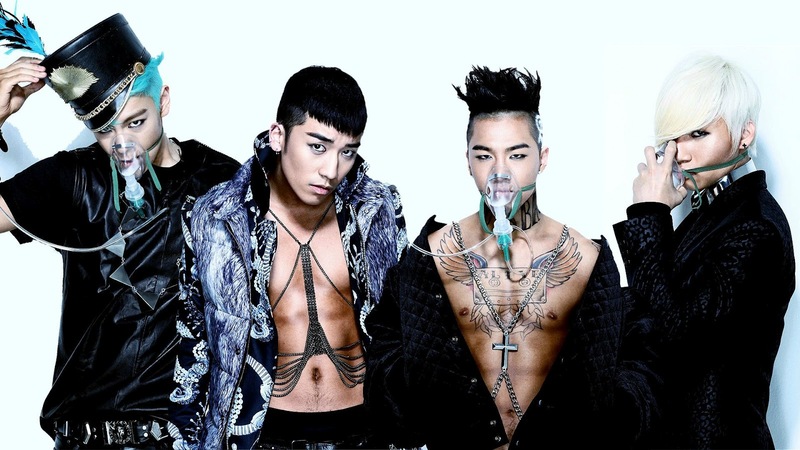 : Singing (the) Blue | Big Bang Daebak! I wasn't a BigBang fan. Until this came along. After I posted this yesterday, I got so curious about BigBang's comeback album that I couldn't help but to Google it. Really, when you see something as quirky as this, you're bound to get curious. The next thing I knew, I was on BigBang's official YouTube channel, watching the Blue MV over and over until Yue began complaining about it. "Mommy, ang lakas naman ng tugtog mo! Hindi ko marinig si Pink Panther!" (Mommy, your music is too loud! I can't hear Pink Panther!) LOL. I usually fall in love with the song first, before the artist itself. After being smitten by Blue, I decided to preorder a copy of Alive for myself. Just when I thought the only album I will be purchasing this year would be Lee Jun Ki's Deucer (single to be released in March, album in April), I found myself enamored by Blue - like I'm in a trance or something. Play the video above and perhaps you'll understand what I'm talking about. *VIP is BigBang's official fan club. ps: i saw your photo's on instagram; Yue's new hair cut is so incredibly adorable!!! they look cool Sis, never heard of them :-( Visiting late from Food Friday, hope that you can return the visit too.